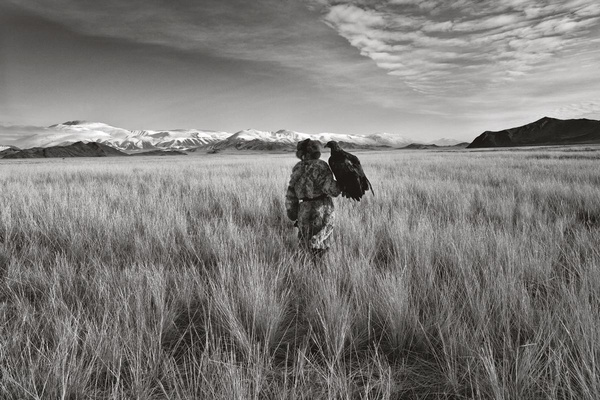 One of the few remaining eagle hunters left today. All photos by Palani Mohan. 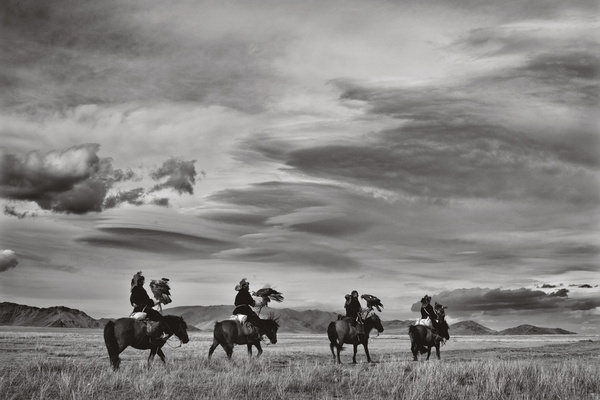 KAZAKH, Mongolia – It is the bond between hunter and eagle that fascinated me and brought me to this project of documenting the burkitshi. The hunters all had stories about how they loved their birds even more than their wives. 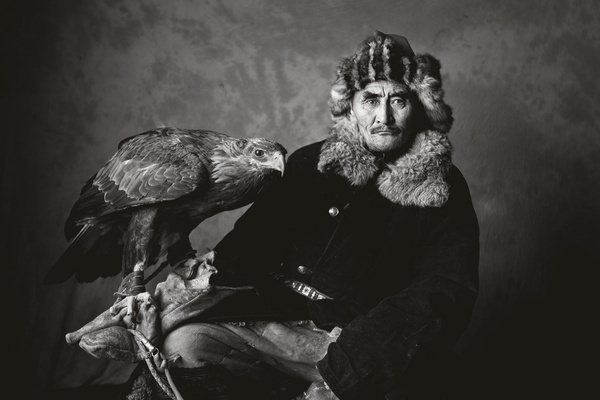 And there's a Kazakh saying that if a hunter's father dies on the day the snow starts to fall, the hunter won't be at the funeral because he'll be up in the hills with his eagle. In this part of the world, because there are no tall trees, the golden eagles build their nests high on the rock face, wedged between sharp clefts. This is where the hunters go in search of a young bird. They are looking for an eaglet of about four years old that has lived in the wild and been on a hunt; not so young that it won't survive without its mother, but not so old and experienced that it cannot be taught to live with humans. Only females are taken, as they are larger and more powerful and aggressive than the males — with a wingspan of 2.5 metres (8 ft.) and weighing up to 7 kilograms (15 lbs.) when fully grown. When the hunter takes the eaglet from its mother, a huge responsibility comes with that act. "You love them as your own, even when you set them free at the end," one hunter told me. 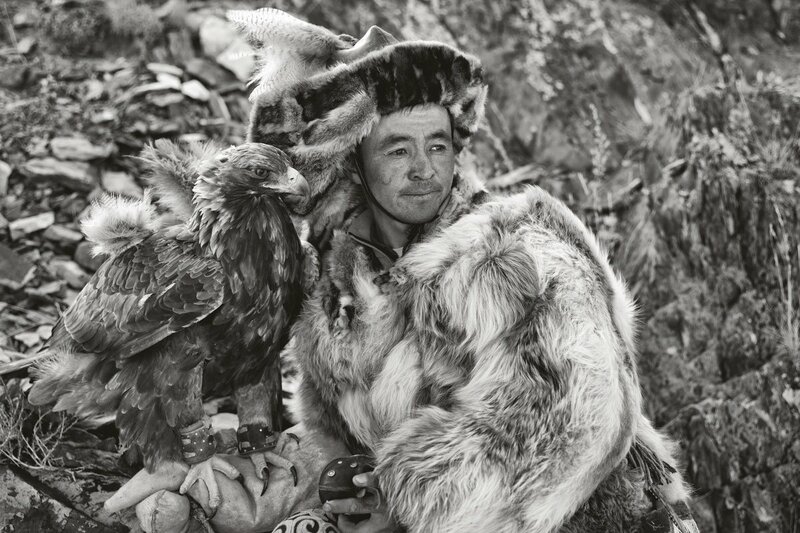 The hunter takes the eaglet back to his home, and there the hand-feeding starts, with pieces of horse, sheep, or yak meat. The bond between man and bird begins developing at that point, as the bird learns to trust the one who feeds it. That trust, I've been told, becomes love, and that's when the hunter takes the eagle on a hunt. This excerpt is printed courtesy of Merrell Publishers. Palani is a photographer based in Hong Kong. You can follow him on Instagram at @palaniphoto. He travels for the discovery and knowledge of the ever-changing world around him.